Fnatic beat G2 in both matches this split. 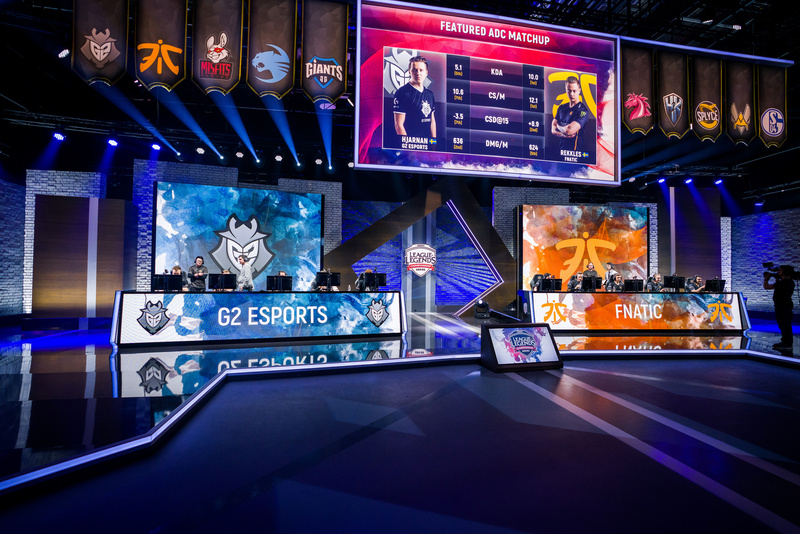 In the second installment of the Clash of Kings in the EU LCS, Fnatic retained the crown against G2 earlier today. G2 built an early lead but were stalled out and eventually allowed Fnatic to find their way back into the game. Fnatic played for their bot side early, getting kills onto Martin “Rekkles” Larsson and giving him the tools to carry. Noticing that Fnatic focused the bot side, G2 took advantage and grabbed leads in the other two lanes. Luka “Perkz” Perković had the slight lead over Rasmus “Caps” Winther, while Martin “Wunder” Hansen had complete control of the matchup against Paul “sOAZ” Boyer. G2 edged out the lead with their two winning lanes and started to build a hefty gold advantage. The cracks in G2’s armor started to show in the mid game, however, as players were caught out of position. Fnatic picked up the kills and this led to them capturing more objectives. Initially, Fnatic took Elder Drake to crack open G2’s base. They later took Baron and used that buff to close the game. Though G2 have shown an improvement in their late game play, they struggled to use their lead effectively and close out the match. Players were killed because they were out of position, so G2 couldn’t push hard into Fnatic’s base as they lacked the numbers. Fnatic punished every mistake that G2 made and this allowed them to eventually take down the Nexus. Fnatic now sit alone in first place in the 2018 EU LCS Spring Split at 9-3, while G2 fall to an 8-4 record. Next week, G2 will have tough matches against Giants and Splyce—two squads that have shown the ability to take down top teams. Fnatic will also face two tough opponents in Vitality and Misfits. G2 and Fnatic are both playing at a great level and you should expect to see them in the playoffs.